Selecting the correct magnification that works best for you is an extremely crucial step. The right magnification enhances the quality of vision best suited for the clinical activity that you do. Only you will be able to identify the type of clinical activity that you engage in,during the bulk of your time. 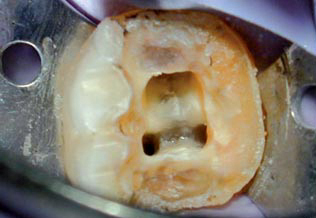 If the bulk of your clinical activity centers around performing fine tasks that calls for viewing fine objects limited to a smaller field, such as locating root canal orifices, performing precision cavity preparations – Example : Class V, Class II composites [ cavo-surface cavity margins finished close to gingival tissues] , ceramic inlay preps, single implant placement, micro-surgical suturing, short span fixed bridges & single crown preps etc; then you will do best with a higher magnification such as 3.5 X . Aforementioned procedures does not require the clinician to see the entire arch whilst performing the clinical activity, instead it is important to see the tooth he/she is working on and the adjacent teeth [ one or two teeth ahead and one or two teeth behind ] in close range to enable accurate placement of margins etc. But if your clinical activity needs magnification over a wider area,full arch or an entire quadrant, such as in performing periodontal flap surgeries, surgical field exploration for placing multiple implants, bone grafting procedures, complete denture fabrication, full mouth prosthodontic rehabilitation, fixed orthodontics, management of facial trauma etc; then you would do better using a smaller magnification, allowing wider field visualization, such as 2.5 X or a 3.0 X loupes. Here the clinician is able to see the entire arches at a closer range and plan or perform his clinical activity.